I was really not feeling the motivation and was really having a hard time getting out of the door for this run. I missed my run yesterday because life and family took precedence. I was feeling much more motivation after about a mile of running and was in the groove after a couple miles when the rain started to come. I am a wimp and I had wished after about 1/2 mile that I had wore gloves. It wasn't horribly cold at 42 degrees but the wind was blowing pretty good making for some very cold hands. It rained the entire rest of the run, but started to slow to more of a sprinkle at about mile 10 so the last 3 miles were not so bad. About 4 miles in I had decided that I would go ahead and round this 12 mile run up and make it a half marathon just so I could get to an even number. I ran it as an out and back making the route up as I went. I wanted to make sure I didn't change my mind and I wouldn't be able to once I got to the turn around point. I was surprised how much ice is still on the sidewalks. I would have thought all of it would be gone by now, but I guess that is just a testament to how thick the ice was on some of these sidewalks. Of course, this was in shady areas, but still should have been gone by now considering the temperatures these past few days. The roads are mostly clear now, but every once in a while along the side of the road I will have to run inside the white line because the ice is still covering all of the shoulder. 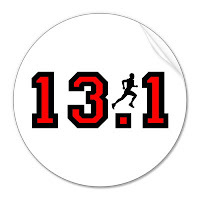 I finished off 13.1 and it felt great! It is funny how low motivation almost always turns into a great run. I could have kept going which is a good place to be in. My splits were good. I haven't stopped to add it up, but I was very close to doing this long run with negative splits if I didn't actually do it. Speaking of GU - Have you used GU before? Do you like GU? If you have tried it and love it or if you would like to try it you will want to make sure you click on every link below to make sure you follow me every way possible so you will be the first to know if....... you know....... just incase........ You know it is 26.2 training season once again and everybody needs their GU! Thanks for the great post, I really enjoy your blog. I always used GU in the past, but two races ago made the change to Gatorade every two miles - I haven't noticed a big differnce, but I had good luck with the GU. You are so right, runs that start with low motivation always end up great. My hands get cold very quickly. I wear gloves long before I wear any other winter gear. I'm a huge Gu fan and user although it is rather expensive here in South Africa. 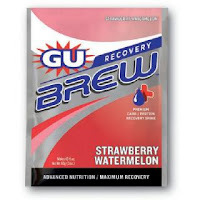 There are some locally made gels that sell for half the price of Gu. I generally save my Gu for races and use the other gels for training. GU is ok to me. No issues other that the price. Jim - Thanks for the kind words! Johann - People think I am strange, but I am the same way, my hands get cold much faster than other parts of my body. The price of GU (and other products) in other places than the US is something we don't think about often here. What do you guys find that the price is here in the US? I haven't priced it out specifically, but from what I have seen it is under $2ea individually. These seems really close to what I have paid for other competing products. It does get expensive when training for a marathon, but I haven't found any other convenient alternative to the individual packed products. Speaking more than just about GU here. Awesome post. This is just what I need for motivation for this week and my first 20-miler this weekend. I've never had GU and I'm guessing it will be a great investment for my first marathon next month. Thanks for the kind words Kandyce! 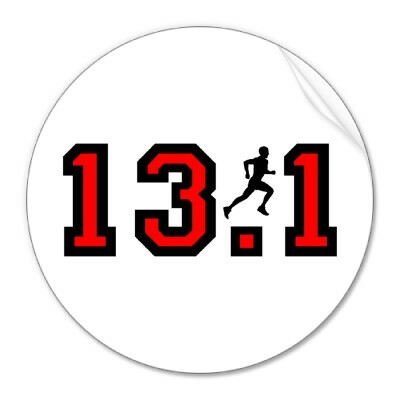 Good luck on your first 20 miler this weekend... you will do great! Check back in and let me know how it went! For some reason, I really like running with gloves on, so I'm always wearing them unless it's warmer than about 55. I have tried GU. When I first started training for my first HM, I went to a local running store and got a variety of gels (GU, Hammer, and PowerBar gels), shot blocks, jelly beans, etc., and just tried different things during each of my long runs. I found that I preferred GU and Hammer gels, and couldn't tell much of a difference between the two except that the hammer gels were a bit easier to open while running. Hey Brian, thanks for stopping by and taking the time to let us know your experiences! I like to run an out and back or a really big loop so that I have to finish in order to get home. You don't have to have a GU giveaway coming up, do you? Need to win some ... marathon training.